Portrait of Louis-Marie Pilet, Violoncellist in the Orchestra of the Opera. degas74 - AMAZON OIL PAINTING CO.,LTD. Portrait of Louis-Marie Pilet, Violoncellist in the Orchestra of the Opera. 1868-69. Oil on canvas. Mus¨¦e d'Orsay, Paris, France. 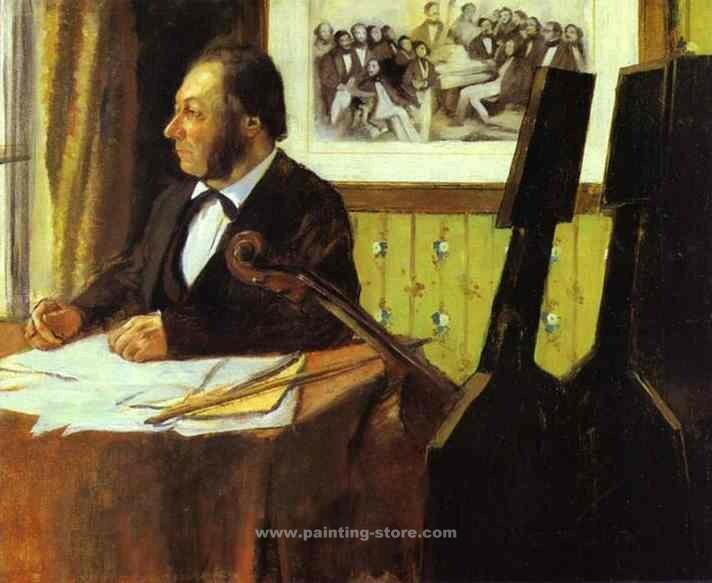 Title: Portrait of Louis-Marie Pilet, Violoncellist in the Orchestra of the Opera.